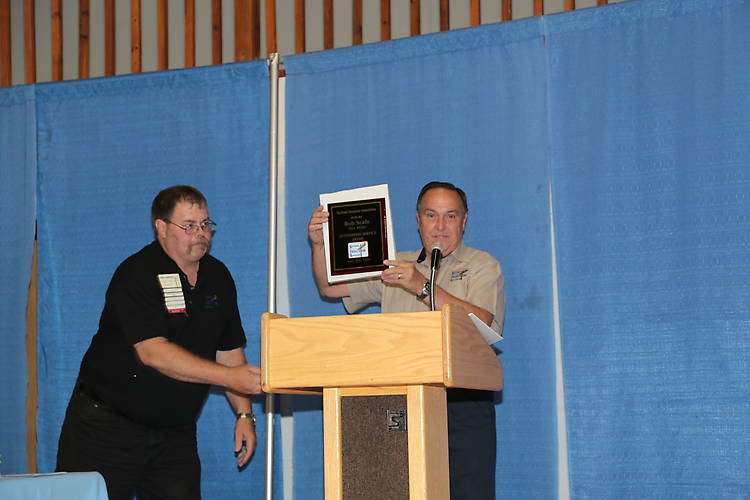 Don presenting a plaque for outstanding service to Bob Scafe who was not present. Gene Hawkins was just helping pass the awards over to Don. That is part of Gene's unending duties on the NIA.